When you think of Homer, Alaska, you may think of it being a fishing town or a picturesque town, and maybe even little hippyish. 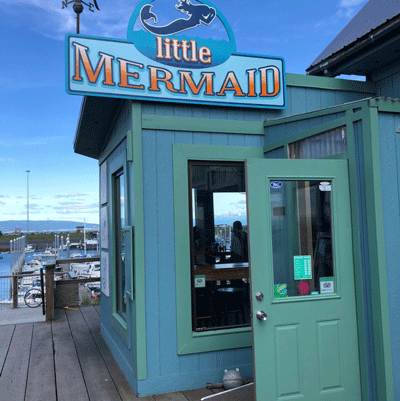 While all those things do make this quaint small town a spotlight for Alaskan travels, Homer is also known for being a town full of irresistible eateries! With being a local to Homer myself, these by far make the top of my list EVERY season and worth getting on the wait list! If you’re into fresh fish tacos and killer drinks, then this is the spot for you! Locally owned and operated by Nelton and Megan, this spot is a local’s favorite! Centered in downtown Homer off Pioneer St, this shabby spot offers upscale bar food with an Alaskan twist. 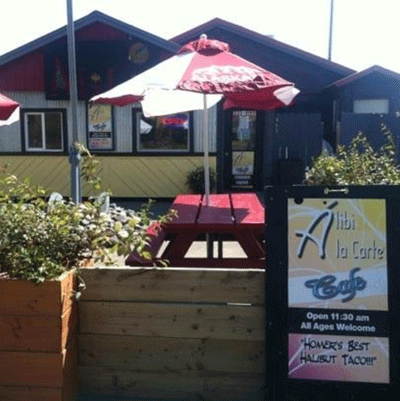 You’ll find fresh halibut and shrimp tacos (to die for! ), Homer’s famous PB&J wings (MUST try! ), homemade Alibi dip and much more! Plus, the drinks are always proper. Additionally, they host live music and themed nights throughout the year! For all my coffee lovers out there, this spot is for you! This quaint spot was inspired by coffee enthusiast, Lynsey Stow. 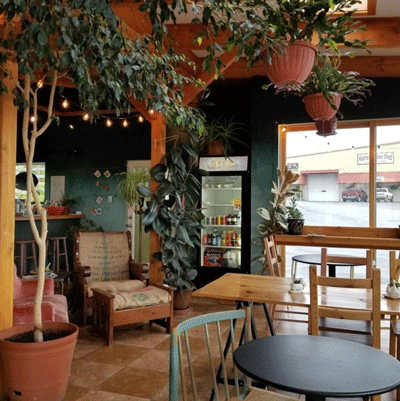 While it’s a short drive outside of town, her handcrafted coffee and locally influenced food menu are well worth the trip. As a master barista and coffee lover herself, every cup ordered is made to pure perfection. 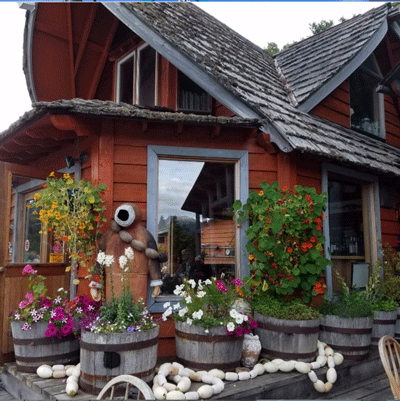 When in season, her food menu is locally sourced from Homer farmers and prepared upon order. Oh… and did I mention she offers, hands down, the BEST Alaskan clam chowder FROM SCRATCH on Friday’s and Saturday’s? Whether you’re stopping in to relax and enjoy this unique atmosphere, or grabbing to go, Stowaway won’t disappoint. If you’re looking for a brunch spot filled with savory crepes and top notch mimosas, then this French-inspired bistro is a MUST! This little nook is located in Old Towne Homer and owned and operated locally by Melody. Whether you’re into decadent crepes filled with fresh berries and homemade mousse or into savory crepes filled with reindeer sausage and local herbs, Melody has a crepe for you! Stop in and check this bistro out for brunch to early afternoon experience! This spot is a must for anyone looking to experience Alaska from scratch! 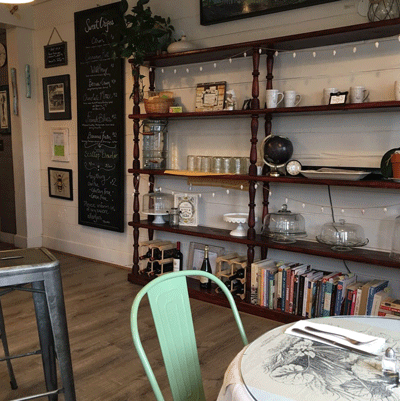 As local owners and operators in Homer, Kathy & Evan rely on locally sourced food from Homer farmers to inspire unique and decadent dishes. With offering local daily catches, fresh Kodiak scallops, and a uniquely crafted Stone Bowl, you’re in for a real Alaskan treat! Don’t wait to call though; they are usually booking up to two weeks in advance during the Summer season! There’s something to be said when you offer a dining experience unlike anywhere else. Maybe it’s the adventurous feeling of dining across Kachemak Bay in stunning Halibut Cove or eating oysters so fresh that the barnacles on the outer shell are still alive… Or just maybe it’s the luxury experience given to guests the moment you arrive that makes this spot more than just dining. As a local owner and operator, Mariann made her passion of giving guests an ultimate Alaskan experience come to life by offering an adventurously handcrafted menu paired with exceptional drink options! This eatery option is by far my favorite to look forward to every season! Jump on board the “Danny J” and take a cruise to the wild side of Alaska for an unforgettable evening this Summer at The Saltry! For more information on local eateries and things to do, visit the Homer Chamber of Commerce today!